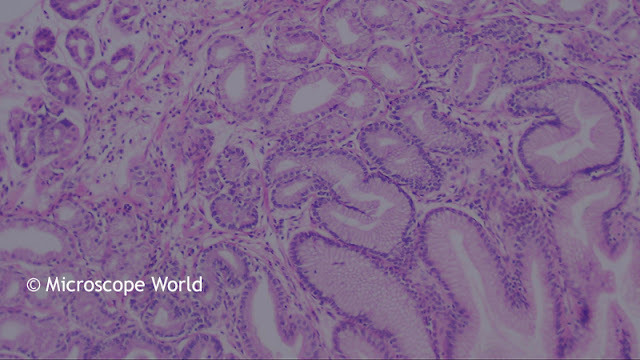 Villous adenoma is a type of polyp that grows in the colon, anywhere else in the gastrointestinal tract, or occasionally other parts of the body. 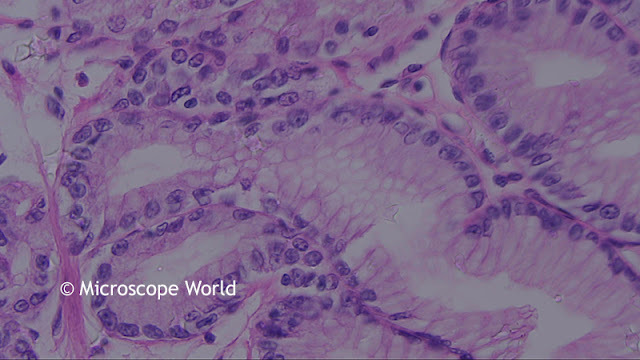 These polyps start out benign, but can become malignant. Villous adenoma has been demonstrated to contain malignant parts in up to one third of affected persons and invasive malignancy in another one third of removed samples. 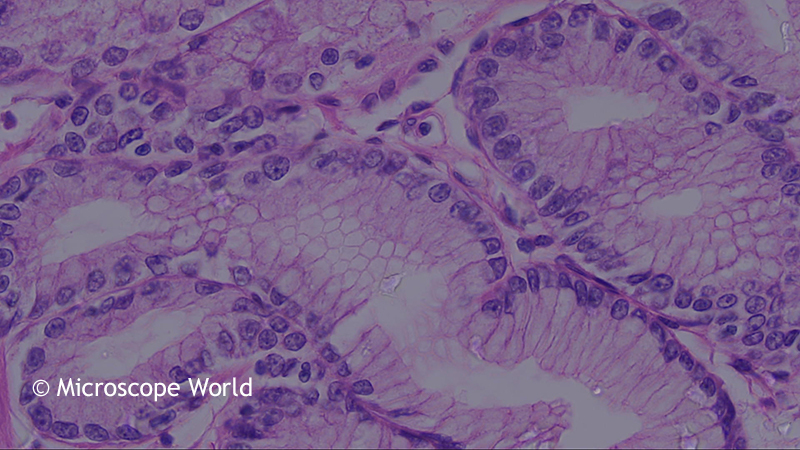 If the affected polyp is large it may be necessary to remove part of the colon. Villous adenomas can cause severe diarrhea. Since Villous adenoma often create mucus, it can cause the infected perfson to get hypokalemia, which means they have a low level of potassium in the blood. The images below of Villous adenoma were captured using the RB30 biological microscope and the high definition HDCAM4 microscopy camera. 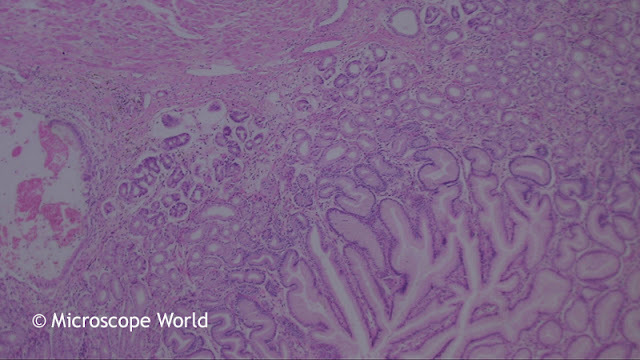 Villous Adenoma under a biological lab microscope at 40x. Villous Adenoma under a biological lab microscope at 100x. Villous Adenoma under a biological lab microscope at 400x. Villous Adenoma under a biological lab microscope using a Plan Fluor Apochromat 40x objective.